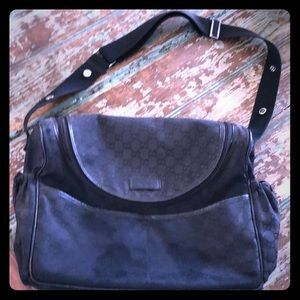 Take your look to the next level with a chic designer handbag from Gucci. 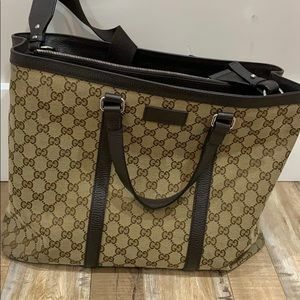 This Italian label offers a wide variety of fashion forward totes, clutches and shoulder bags accented with Gucci's signature GG logo. 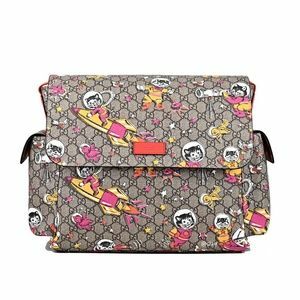 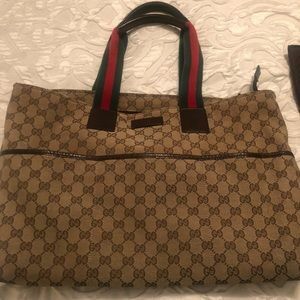 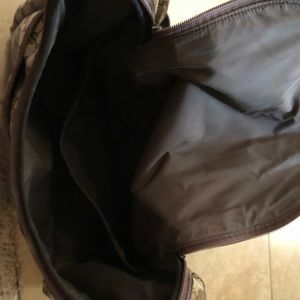 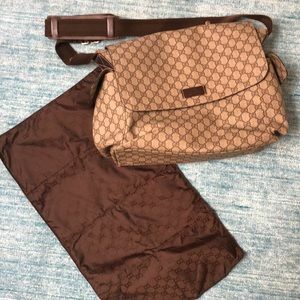 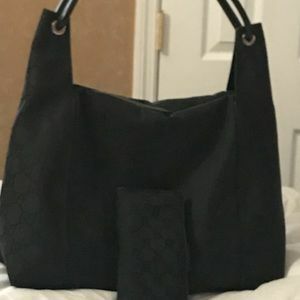 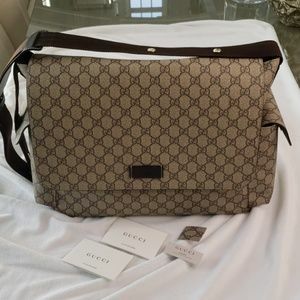 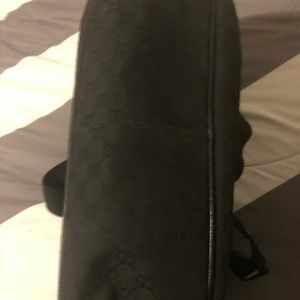 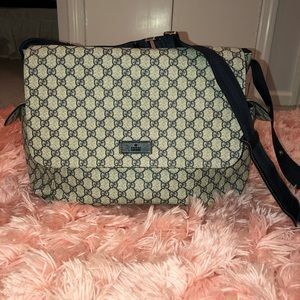 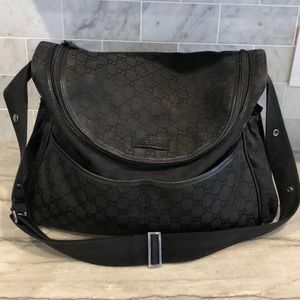 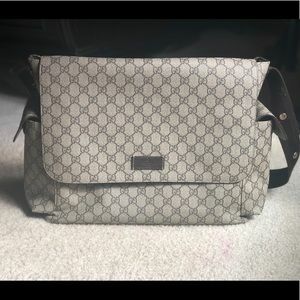 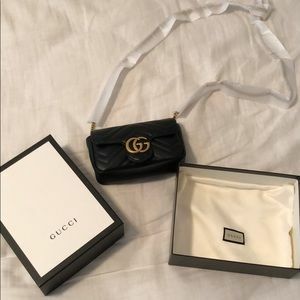 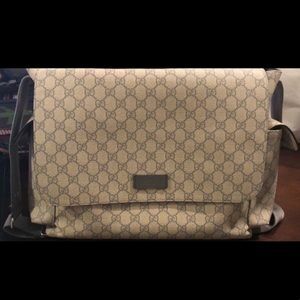 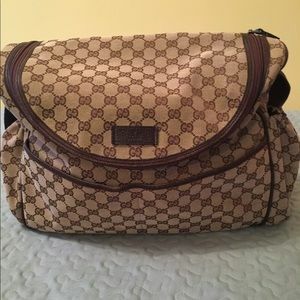 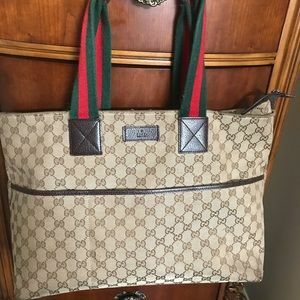 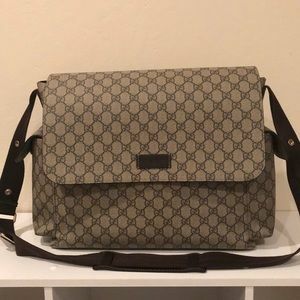 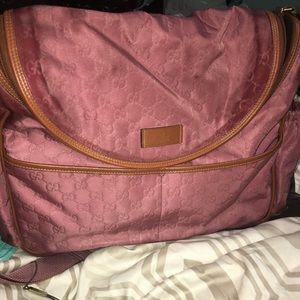 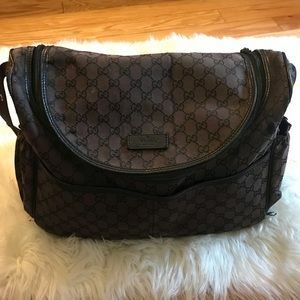 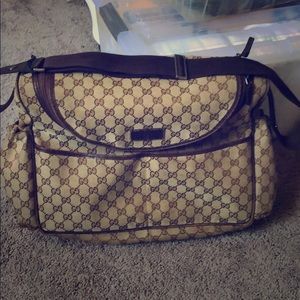 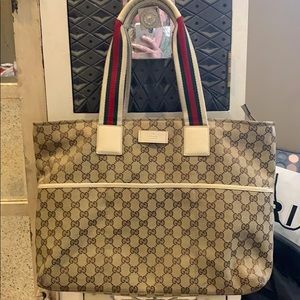 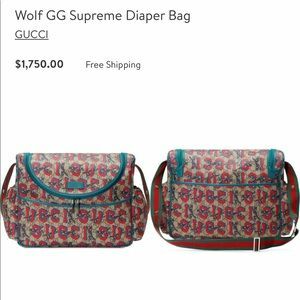 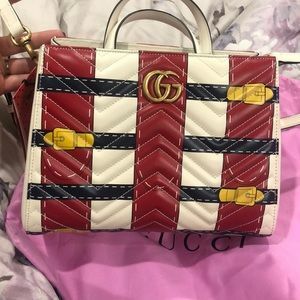 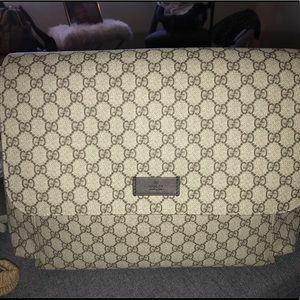 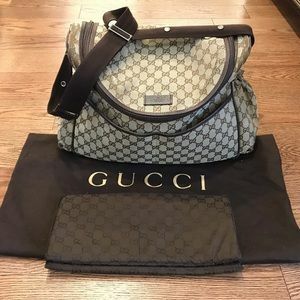 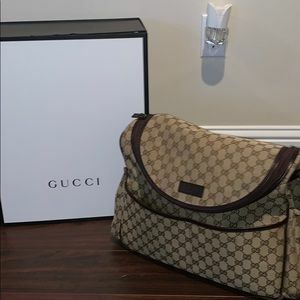 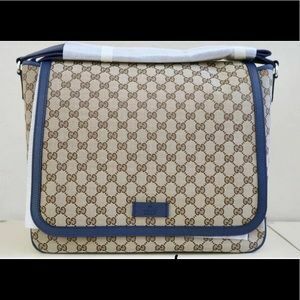 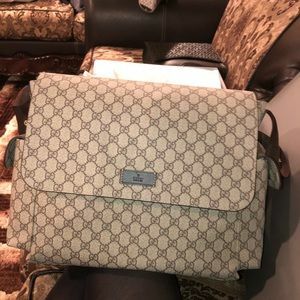 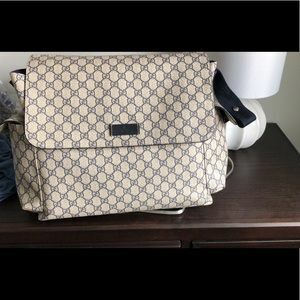 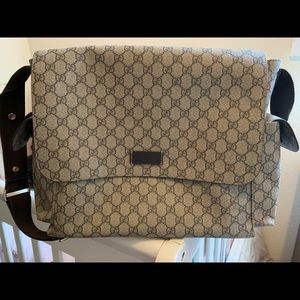 Gucci Diaper Bag - no changing pad . 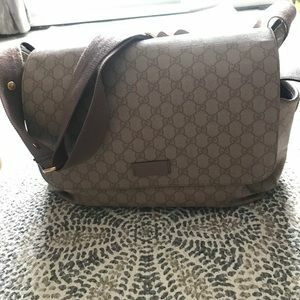 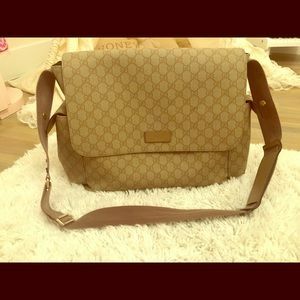 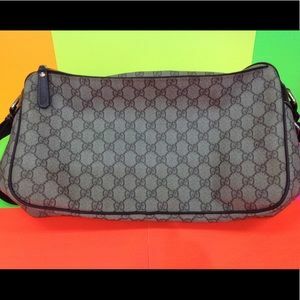 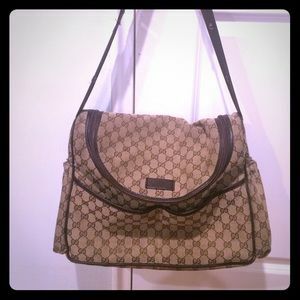 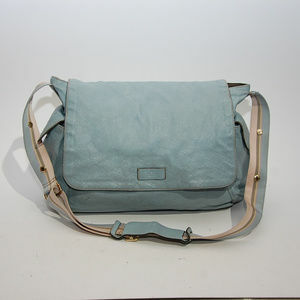 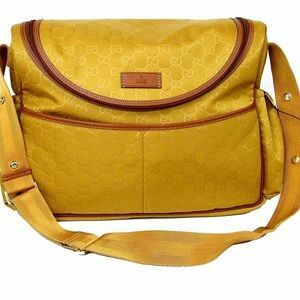 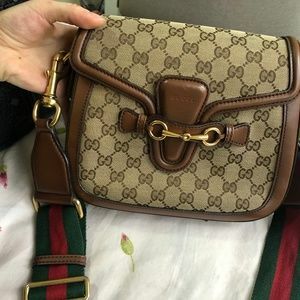 Gucci hand bag, can be used for diapers bag too. 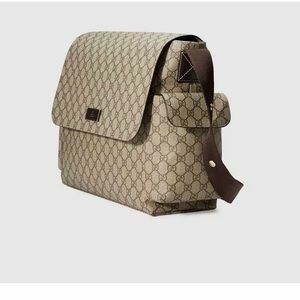 Founded in Florence by Guccio Gucci in 1921, Gucci found success with their distinctive style, high-quality leather goods and clothing line. 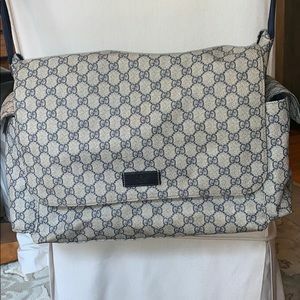 Their past style was revamped by designer Alessandro Michele and now features timeless silhouettes with a touch of eccentric, bohemian glamour.